Automatically shuts off when tank pressure reaches 65% of incoming line pressure. 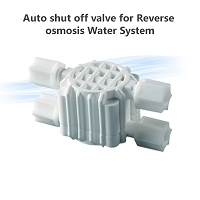 Once Reverse Osmosis tank fills 2/3 of RO water the valve will automatically shut down system. Save monthly over 1000 gallons of water and extend your water system membrane life. - The bottom side of the valve is low pressure side. - The high pressure from the filter housings goes to the ( in ) on the top of the valve. - The high pressure ( out ) goes to the membrane housing "in". 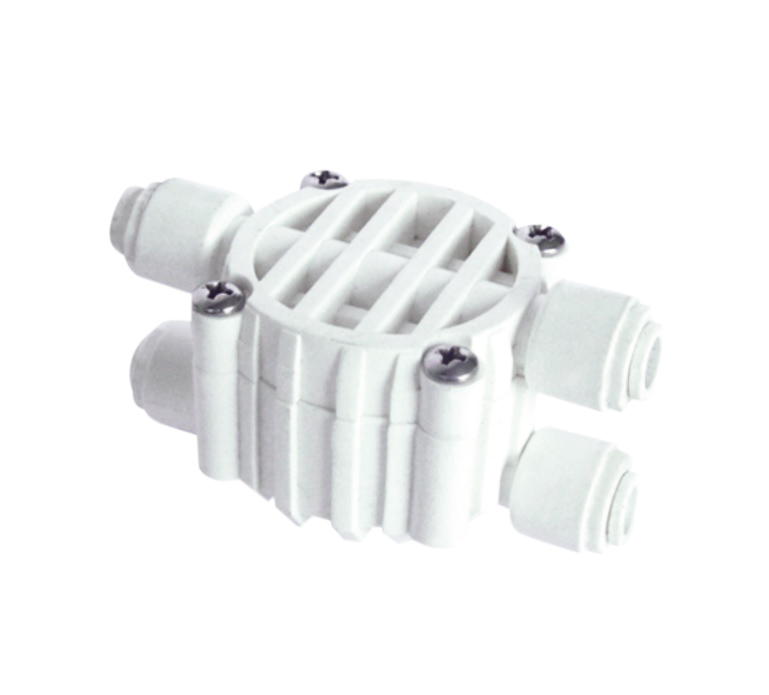 - The membrane housing low pressure ( out ) connects to the ( in) on the bottom side of the valve. - The ( out ) on the bottom of membrane housing goes to the RO tank. 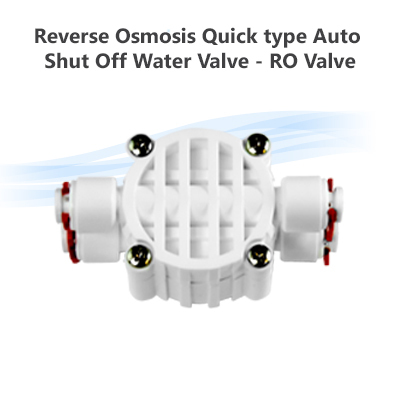 This water RO shut off valve was reasonable priced, and shipment was prompt, and so far it is working great and better than the old one ever did.